Who didn’t believe in better living through chemistry? 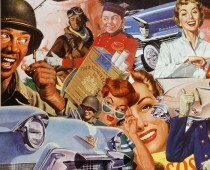 Post war Americans were eager to live out the dreams depicted in the color drenched ads that ran in all the magazines. Our romance with novelty blossomed as the world of plastics and chemicals was beginning to be revealed to the nation’s wondering eyes with each new miracle was awaited with bated breath. It was expected that as natural resources became depleted synthetics would be ready to take over. 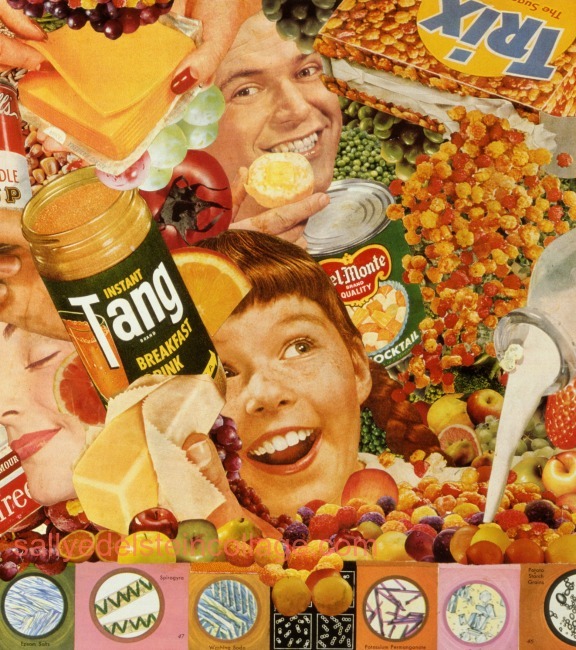 Detail of Better Living Through Chemistry” collage by Sally Edelstein. 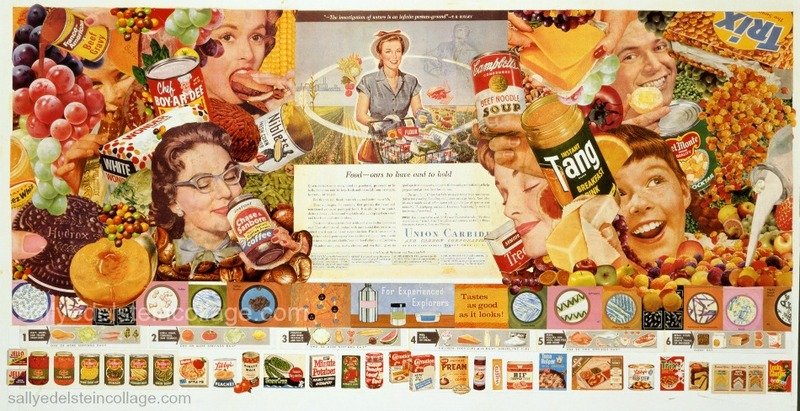 Composed of hundreds of appropriated images from vintage magazines, advertising, school books, etc. Providing an artificial cornucopia to pour forth abundant substitutes for any shortage was a notion that made concern for conservation irrelevant to the promise of tomorrow. We came to regard new products as the prime indicators of progress with little regard to consequences to our health or the environment. My silent spring childhood memories would be chemically infused. It’s the American way, you know. Just ask Supermam.